Take 42% off the entire course. Just enter code slcui into the discount code box at checkout at manning.com. 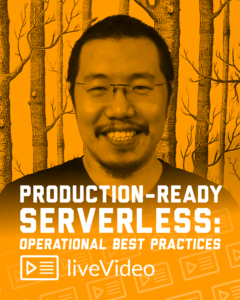 Production-Ready Serverless: Operational Best Practices teaches you how to build applications that take advantage of AWS Lambda and other AWS platform features like API Gateway and Kinesis. 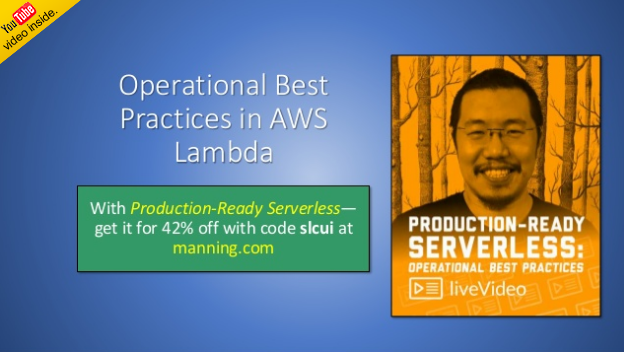 AWS expert Yan Cui guides you from writing your first AWS Lambda functions through handling the operational challenges Lambda can bring as you integrate serverless development practices into your applications. You’ll build a basic e-commerce site piece by piece, including a Lambda-based web API using the API Gateway service. This hands-on course introduces processing events in real-time using Lambda and Kinesis Streams, implementing security against common OWASP attacks, modern serverless design patterns, and best practices for maximizing performance and minimizing cost! Find out more in the slide deck below.